Wojciech Jurkowski, 22, was born in Poland and has been fascinated by cars since his youth. At the age of 14, he started to create his first 3d models of existing vehicles. 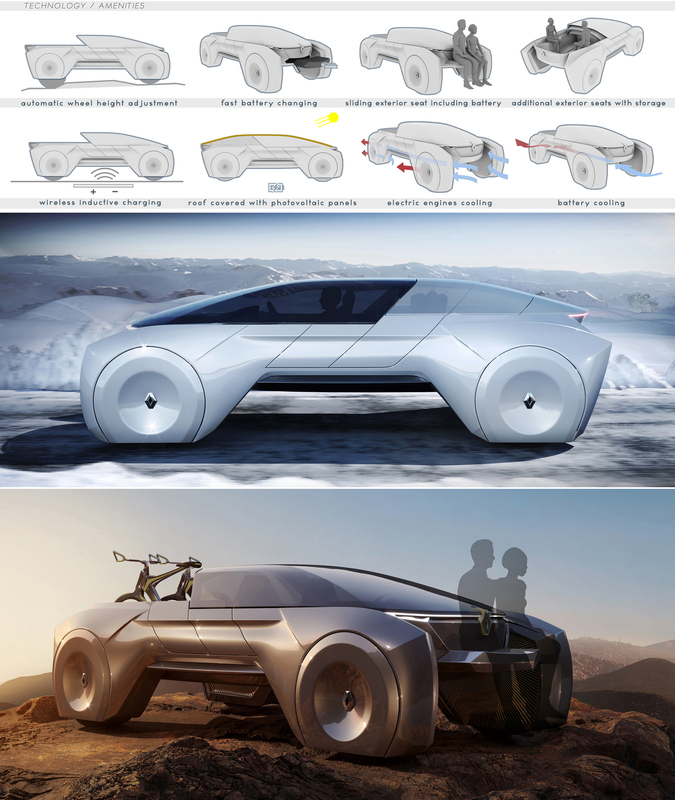 After a few years of acquiring knowledge in the 3d world about construction and various forms of car bodies, he decided to design cars by himself, looking for new forms and solutions which makes the car useful, beautiful and timeless. In order to develop his talent in design he has undertaken studies at the Cracow University of Technology in architecture. He is the author of “Mazda Grizzly Concept” and “Maserati ZS3” which won 1st prize in “Autokreator” competition in Poland. 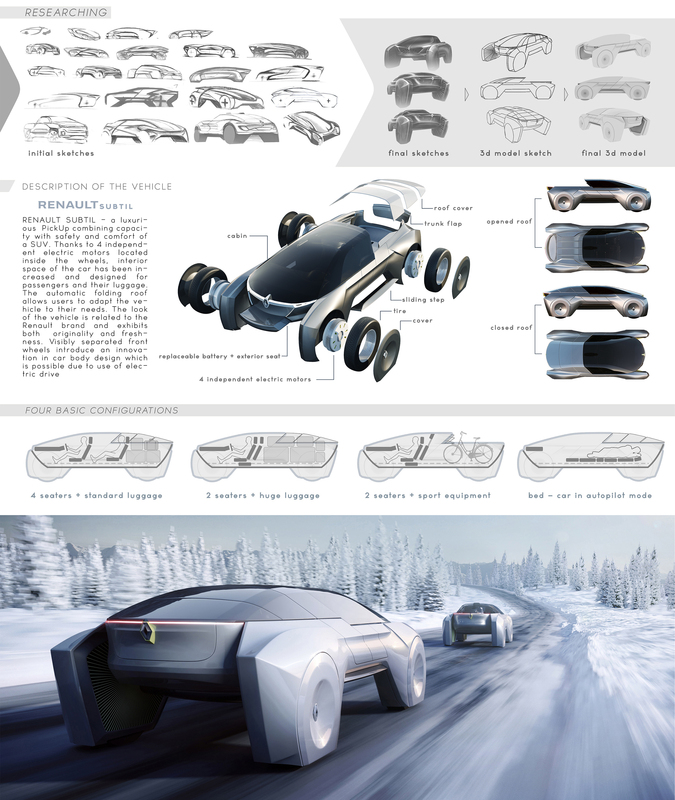 Currently he is looking for further education opportunities in the field of automotive design. People living in big cities often do not have any opportunity to travel and do favorite sports because of the small capacity of their vehicles. 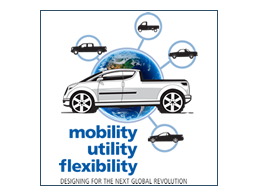 On the Western European market there is an increasing demand for bigger and bigger cars. Europe offers a lot of attractive places to visit so people tend to leave their big and crowded cities to look for peaceful, quiet places among mountains and rivers to spend some leisure time sightseeing or doing sports in the fresh air. RENAULT SUBTIL is a luxurious Pick-Up combining capacity with safety and comfort of a SUV. 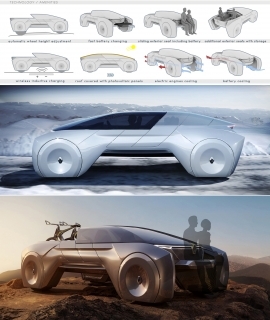 Thanks to four independent electric motors located inside the wheels, interior space of the car has been increased and designed for passengers and their luggage. 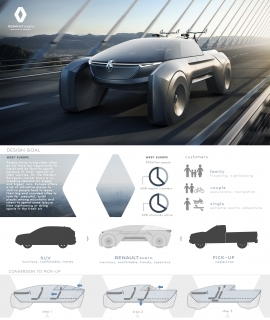 The look of the vehicle is related to the Renault brand and exhibits both originality and freshness. Visibly separated wheels introduce a new style in car body design which is possible due to use of electric motors. An automatic folding roof is a feature that allows users to adapt the vehicle to their needs. Thanks to this solution, owners have a possibility to change functionality of the car by just pressing a button on their smartphone. From capacious vehicle well-suited for active people, (with opened roof vehicle is able to contain up to 3 bicycles) to car for a 4-person family often traveling and sightseeing. Renault Subtil is also designed for people doing extreme sports – car with an open roof can load two snowmobiles, two jet skis or some other sport equipment. 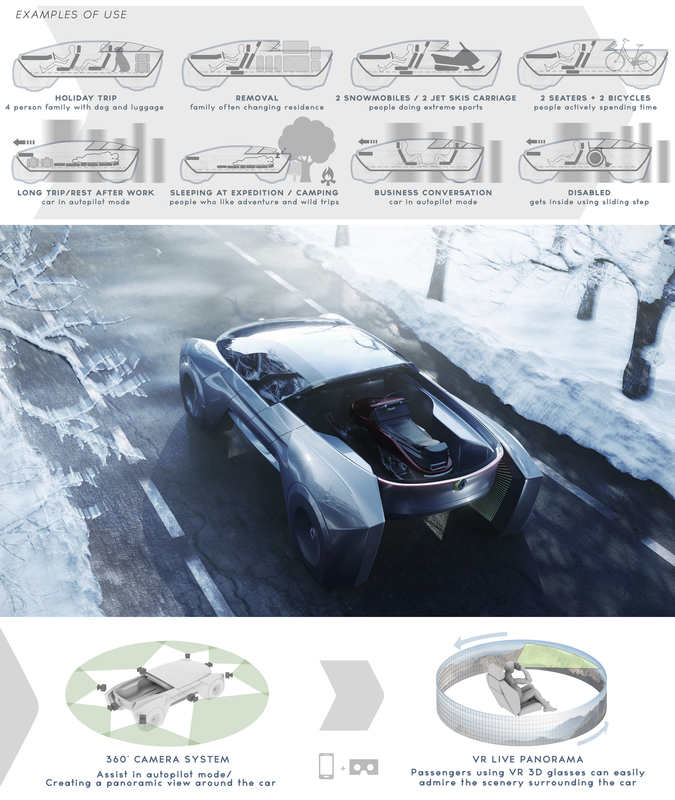 A folding roof in combination with sliding seats enables the car to be adapted to five various configurations.